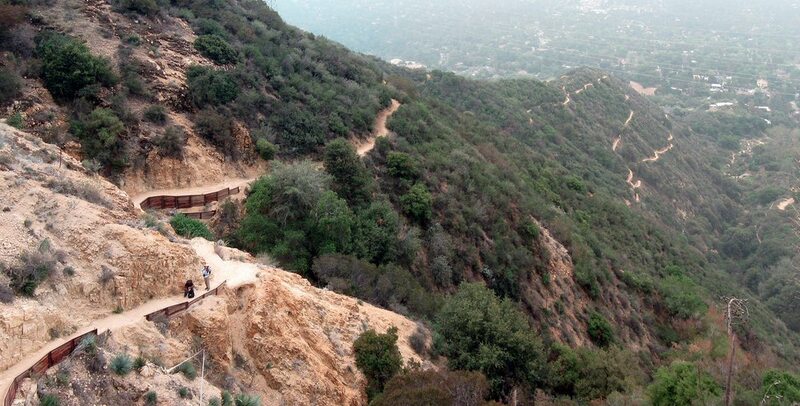 There are endless options in Los Angeles for outdoor exercise, especially hiking trails, but even some of those may come at a cost. Parking permits, street meters, trail passes… there’s plenty of hidden money-drains to dissuade those who may be on the fence about getting their workout by exploring nature. But have no fear! We’re here to eliminate all potential monetary excuses with a quick rundown of some of the best hikes in Los Angeles that have free parking options and no trail fees. As long as you can manage a car ride or bus fare, you’ll be good to go. Just be sure to bring water, sunscreen, and a good pair of shoes, and you’re on your way! Each hike mentioned below contains a brief overview along with information on distance, elevation gain and total duration. There’s also a link for each hike to get more details on how to approach and plan for it. The list is not 100% exhaustive but it’s a good start and we hope you find it helpful. 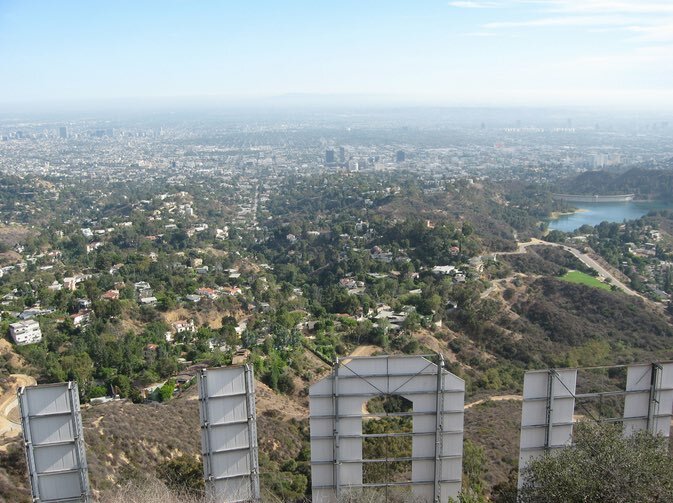 If you’ve never hiked to the Hollywood Sign, then you need to put Mt. Lee on your L.A. bucket list. The trail via Bronson Canyon is one of multiple routs you can take, but the upside here is that there is a huge dirt lot just a few hundred feet from the trailhead that can accommodate large crowds on the weekend. Your route will offer a steady, moderate incline as you wind your way to the top, but the journey will be well worth it when you spy an expansive view of Los Angeles from a perch above the fence-off Sign. Note: Parking can still get pretty crowded on weekends, plus the trail is wide open and offers little shade, so all the reason more to get their early! Whether you want a quick run or a long walk to socialize with some friends, this hike offers various connecting routes along the mountain for all levels. The west trail approach is your best bet to get free parking (usually to be found on Fern Dell or a surrounding street). When going up to the Griffith Observatory, it may be a bit steep but once you reach the Observatory you will know it’s worth it – the Griffith Observatory is a museum free for all visitors. An exercise that leads to a scientific museum? Count me in! Sandstone claims to be at the highest point of the Santa Monica Mountains, at 3,111 ft. You can only imagine the beauty from that point. It is recommended you start this hike early in the morning, to chase the sun shining over the mountain range. To get here, you just have to drive on the marvelous PCH, make a right on Yerba Buena, and head to Circle X Ranch in the Santa Monica Mountains, and start up the Backbone Trail toward Sandstone Peak. In total, the trail sums up to about 7 miles – 7 miles of a heavenly hike that is. In the heart of Malibu, you can use Solstice Canyon for a family-friendly stroll and a picnic or a moderate hike. Along the way, you can find a small waterfall (yes, even with our CA drought) and ruins of old buildings and statues. Parking here is free, but the lot tends to fill up quick. As an alternative you can take the 534 bus and get dropped off near PCH only a few hundred feet from the trail head. Big and blue is all you will see at the top of this hike. There is plenty of street parking which is easy to find at the trailhead. The trail is not too difficult with its steady incline, and do keep in mind that dogs are not allowed! Los Liones Drive is the second left off Sunset Blvd from PCH and is just 1/3 of a mile from the beach. It’s true that Los Angeles has some air pollution problems, but you may change your mind once you reach the top. Rich in history, the Sam Merrill trail used to lead to a hotel built in the late 1800’s by Thaddeus Lowe. Not exciting enough? 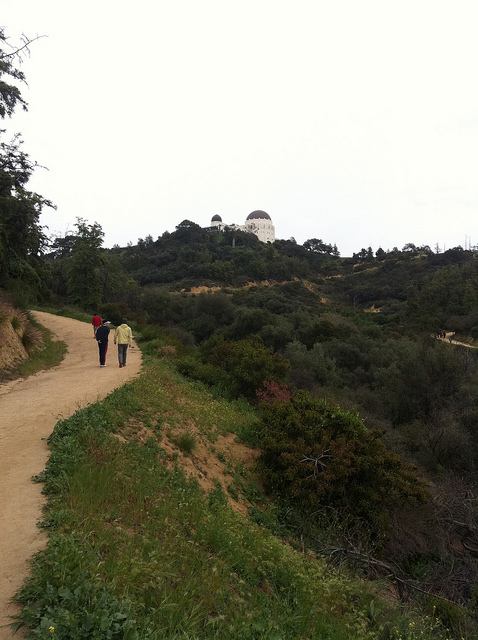 By the time you finish your hike, you will truly hear for yourself how Echo Mountain got its name. Voted by USA Today as one of the “Ten Great North American Hikes,” you can see expanding views of Altadena, Pasadena and Los Angeles proper beyond. Bring your hiking shoes, sunscreen, and head out just north of Altadena! *UPDATE: There is a truncated version of the hike you can do if you just go to the hotel ruins and back. See link to Modern Hiker for all details. Utilize the free street parking along Lake Hollywood Drive and hike a paved quarter mile up Wonder View Drive to the start of the trail. From there the climb is a bit steep and rugged, but also relatively quick, and well worth it to enjoy the view. Overlooking Burbank and Hollywood, there is a single tree (the Wisdom Tree) and beneath it, visitors can leave notes, take photos, or just have a well deserved rest. A waterfall close to PCH in Malibu? Yep, it’s true. The hike to the fall is nearly four miles long. Don’t let the beginning fool you; the start may seem easy because of the clear, paved road, but you will eventually be doing incline in wooded areas. If the water is high enough, you may even have to jump from rock to rock. If you choose to climb the waterfall to go behind it, be prepared and be prepared well. A little tip: If you want to view the waterfall at its fullest, go in the early months of the year or after a good rainstorm. Although there is a small, free parking lot near the trail head you may end having to park on PCH, which is fine, as long as you keep an eye out for any no-parking signage. Runyon is one of the most popular trails in Los Angeles (some would say too popular) because for you can trade a relatively short trek for an absolutely gorgeous view of the city. Dogs are welcome, and there are even acres of off-leash areas if you want to bring your fido along. Just keep an eye out to make sure no hipsters accidentally bump into you as they attempt to take the perfect selfie. Note: Street parking is available, but will be a bit nightmarish at peak hours! Have any updates on the parking situation at any of the hikes listed above? Let us know in the comments below so readers can stay updated!